Here's what we know so far about the refreshed Hellcat. 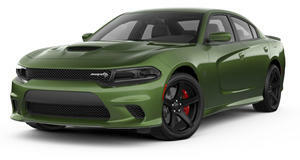 Earlier this week, FCA received a bit of a scare when a of the company's large models, including the Hellcats. Luckily, Dodge has quelled any fears that we may lose the Hellcat, by teasing the new 2019 model. 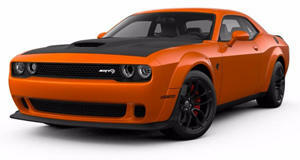 Dodge has already said the Demon , but it is nice to know that the Hellcat is safe for at least another year. The teaser doesn't show much, but it does give us a look at the Hellcat's new dual-snorkel hood, which is fully functional and harkens to the company's past. The new hood pays homage to the company's muscle cars of the '60s and '70s, but with a modern interpretation to provide maximum airflow to the supercharged V8 engine. Dodge didn't release any other information about the car, but we will see the 2019 Hellcat sometime this summer. The 2019 Hellcat is , which would increase power from 707 to 725 hp. The Pack is also rumored to include Nitto tires, a torque reserve function, and TransBrake, adding up to roughly 75% of the Demon's content. It will be interesting to see how much longer Dodge continues to roll out Challengers and Chargers, which are based on an aging Mercedes chassis. A new Charger and Challenger are rumored to adopt the , but it looks like we won't see them until at least 2020 or later. Interestingly, Dodge's teaser only shows us a Challenger Hellcat, so we'll have to wait to see if the Charger Hellcat will also be receiving a refresh for 2019.